All Pinnacle Reserve homes currently listed for sale in Scottsdale as of 04/24/2019 are shown below. You can change the search criteria at any time by pressing the 'Change Search' button below. "Beautiful, spacious and meticulously maintained 4 bed, 2 1/2 bath home in the highly sought after Pinnacle Reserve subdivision. Updated custom kitchen, office/den, family room and powder room downstairs. Master and three guest bedrooms upstairs; plus a large loft, ideal for a game room or a second family room. 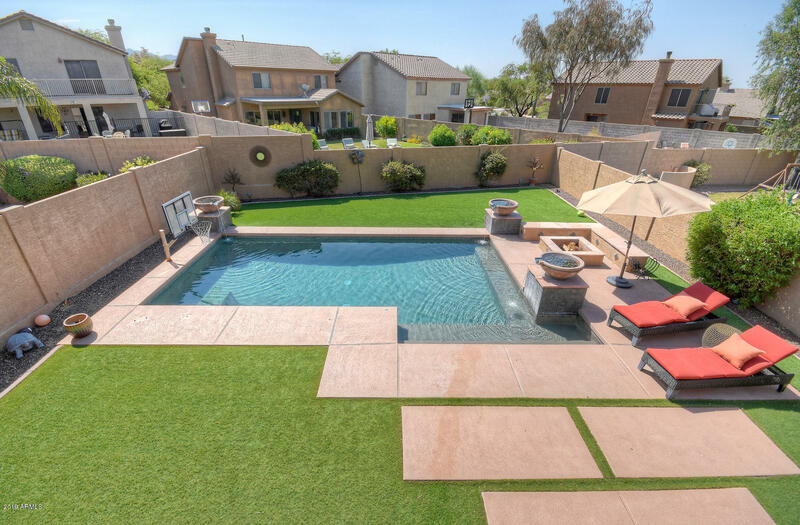 Gorgeous, maintenance free backyard with a large sparkling pool and fire pit makes it perfect for family fun and entertaining. Located in the top rated school district in an excellent neig"